For SAMCEDA’s Annual Meeting in June 2016, we were looking for ways to best capture the uniqueness of San Mateo County and its ecosystem. This was when the idea of “THRED” Talks was born. 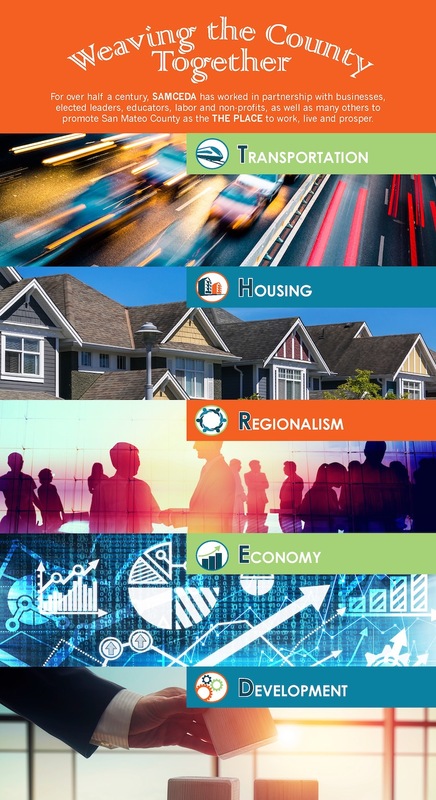 This year we have released Volume III, Weaving San Mateo County Together through “THRED,” Transportation, Housing, Regionalism, Economy and Development – five subjects that encompass the depth and breadth of communities identifying opportunities and meeting the challenges that come with change.